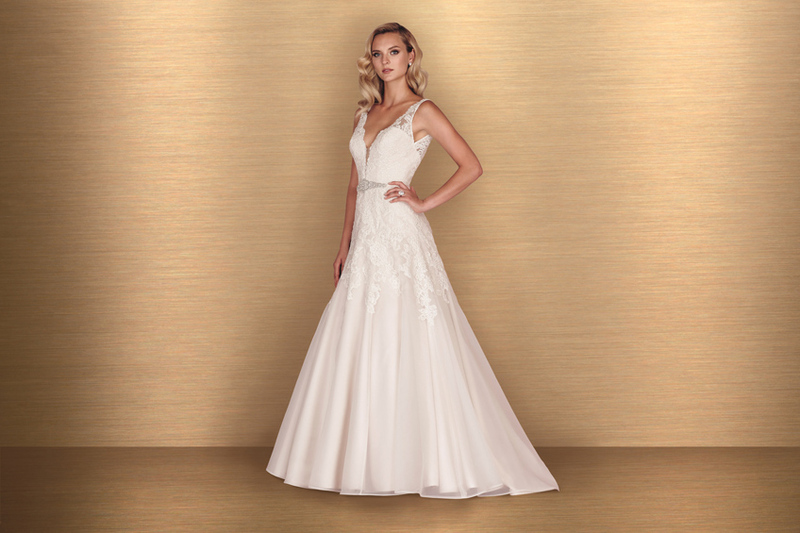 Bliss Bridal Boutique in Whitby, ON will be holding a Paloma Blanca In-Store event this week featuring brand new styles from our Spring 2016 Collection! This Bliss Bridal Boutique Event will be held April 28th-May 2nd. Paloma Blanca Style 4666: French Alençon Lace Wedding Dress. All lace strapless modified A-line gown with sweetheart neckline. Removable Mokuba Ribbon sash at natural waist. Invisible zipper. Sweep Train.